With benefits changes that leave many struggling to spend times alone together, the Conservative Government risks severing the bond between vulnerable young dads and their children, a group of charitable organisation has warned. Young peoples’ and fathers’ charities, including Barnardo’s, Working With Men and Young Dads Council, are warning that dads who don’t live with children face being increasingly unable to have their child to stay overnight, due to a series of housing benefit changes. They argue that the welfare system is already designed not to support vulnerable fathers most in need. Since 2012, single people under the age of 35 have mainly been restricted to claiming benefits only for a single room in a shared house – with no exemption for an estimated 10,000 non-resident parents. The measure, which overwhelmingly affects dads, means that children are forced to share bathrooms with strangers if they want to stay overnight. The Government’s Welfare Reform Programme is the biggest change to the welfare system in at least 60 years. As well as reducing how much is spent on benefits, the Government argued that the main aim of the reforms is to reduce reliance on welfare benefits and make work pay. Straight after winning a majority, the government of David Cameron announced that Works and Pension Secretary Iain Duncan Smith would continue with his task of “making work pay and reforming welfare” as the government implements the universal credit reforms and imposes £12bn in cuts on the welfare budget. New plans will see housing benefit entirely removed from many people under 21 – potentially affecting 118,000 young people. But the charities members of the APPG on Fatherhood's 'Young Fathers' steering group, are warning that the new measures risk driving some dads back into unstable family homes where they may have witnessed violence and substance abuse – further jeopardizing their chances of hosting children. They have warned that others may be driven to homelessness, encouraging them to lose contact with children altogether. Young single dads already face significant barriers to keeping contact with children, research from Barnardo’s and the Family Strategic Partnership shows, also highlighting that social and welfare services often prioritise mothers. 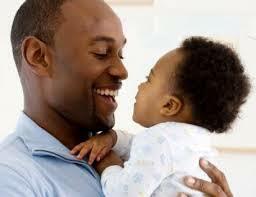 A recent study by The Economic and Social Research Council suggested that one million men - 17% of all fathers and 5% of all men - don't live with their children. Of those, dads aged 16-24 are twice more likely to be non-resident fathers than dads aged 45 or older. The charities are therefore calling on the Government to urgently review benefits rules, ‘putting the child first’ to make sure that parents of every age are supported to maintain a quality, independent relationship with their children. They can start by exempting all parents, regardless of whether their children live with them full time or not, from plans to cut housing benefits for young people. “Young single dads face a constant struggle to keep contact with children, no matter how hard they try. So it’s deeply concerning that the Government plans to scupper their ability to secure even a room to spend time alone with their child, with benefits changes. “The first few years of life are crucial to cementing the bond between parents and children, and the Government should be doing its utmost to encourage contact between young dads and their children at this time. “Numerous studies echo that whether it is through direct care giving, successful mediation related to access and support or in decisions that impact upon their child’s education or health, the more fathers feel engaged and involved the greater their involvement will be; the vast majority of fathers contribute positively to their children’s lives and with the right support could do even more; surely this is to be encouraged and supported in any way possible? “By cutting housing benefits for those fathers that are most in need we potentially reduce the chances of these relationships ever being formed. This is a step backwards in terms of policy but also a step backwards for parents, children and families as a whole”.